A thick Pros-Aide adhesive excellent for filling in seams or gaps in appliances and also great for repairs. Pros-Aide Cream adhesive does not contain any artificial fillers to make it thick yet has the properties of Pros-Aide at heavy viscosity. Pros Aide Cream adhesive can be easily colored to make thick PAX Paint for use as a filler. 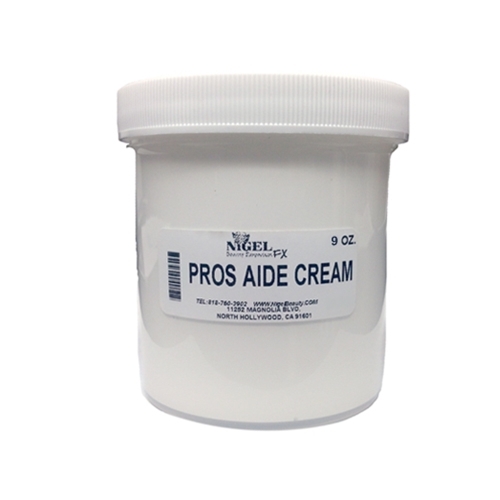 Pros-Aide Cream can also be used to create scars or textures in molds or directly on the skin.